Lot 1 is at the corner where E Front makes a hard right hand turn. 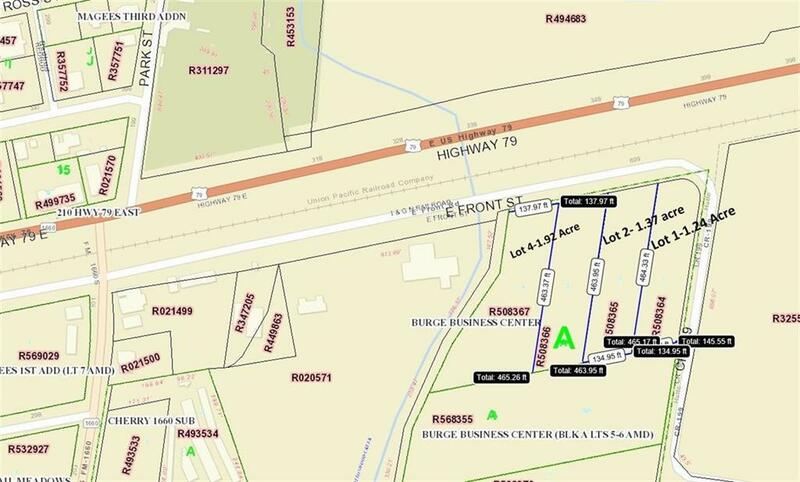 Lot 1 Is a 1.24 acre tract and lot 2 is a 1.37 acre tract. 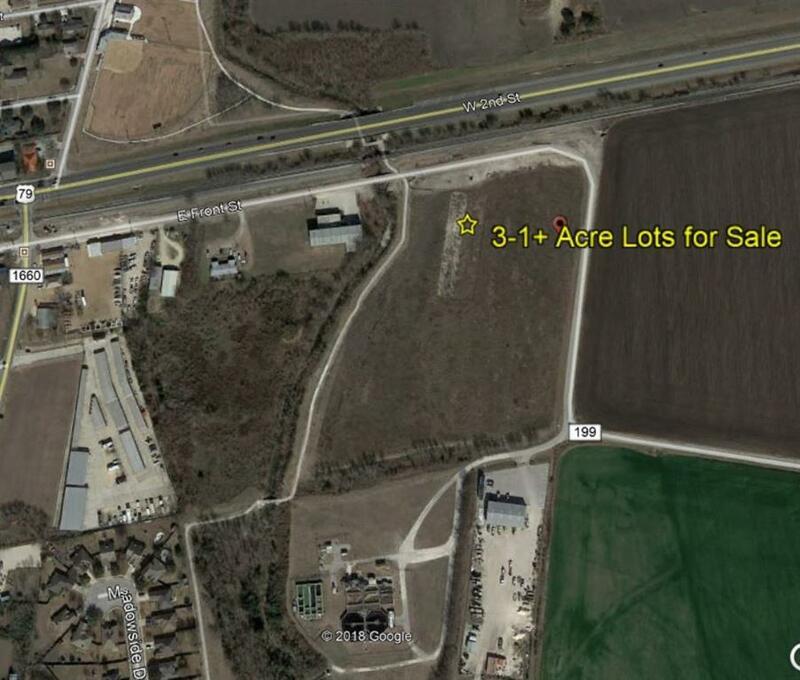 These lots are consecutive and total 2.61 acres. List price is $5.22 sf. and can be bought together or separate. 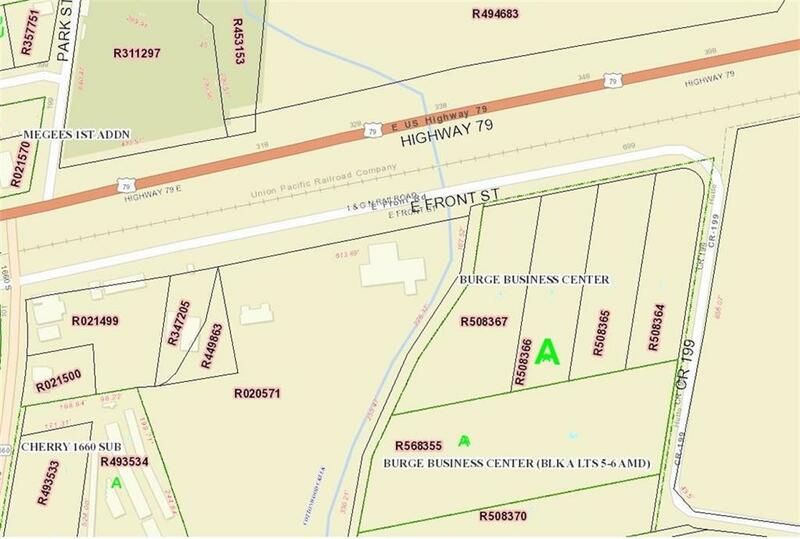 These lots have water, waste water and electric available. Great visibility and easy access. Perfect for Auto Repair, Manufacturing or Warehouses. Bank owned. Buy them together or separate. This listing and list pricing is for lot 1. Approximately 2.5 miles to SH 130.